The Mountains of Instead: Don't Read That Read This welcomes Nicole! Don't Read That Read This is a sporadic feature (because ALL our features are sporadic due an entire lack of organisational skillz) that asks you to come up with three books that you don't think are read often enough or raved over with sufficient frequency. This month we welcome Nicole, a lovely person and a Lady YAcker (and yes, we are aware of the inherent contradiction there). I thought about arranging the books I chose in a type - high fantasy! Or all pretty words! Maybe strong characters! But then I thought, screw this, I'm just gonna pick books that I can't stop rereading and want everybody else to love as much as I do. Without further ado, here are THREE BOOKS that MORE PEOPLE NEED TO LOVE because I DECLARE IT SO. Lessa survived her entire family being slaughtered and hid in the house that should have been hers. 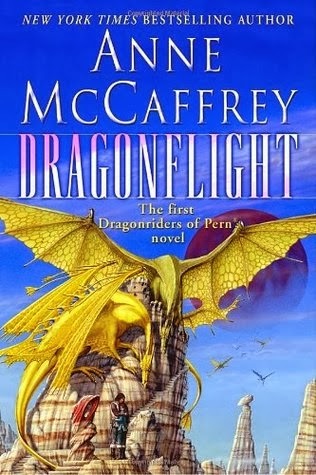 Plans to take it back fall into place - until the dragonriders of Pern show up and ruin everything. But a chance is offered to her: to ride a Queen dragon, and to lead not only her home, but all of Pern. Should she take the offer, danger would lurk on every horizon... especially with the mysterious Red Star coming back into orbit. I feel kind of like this is cheating by making this my first choice. After all, this book has won a lot of awards, and the entire book series (of over 50 books!) has almost always landed on a bestseller list of some sort. However, it's coasting off of its success in the past; few readers who haven't had the books recommended to it seem to flock to it. Besides, this is my favorite series of all time, and I want everybody to read it. Young buck Rannoch just manages to survive after his father is murdered. Forced to hide the oak leaf mark on his forehead, he wanders the woods and speaks to the other animals, trying to stay one step ahead of the stags with sharpened antlers who wish to kill him. 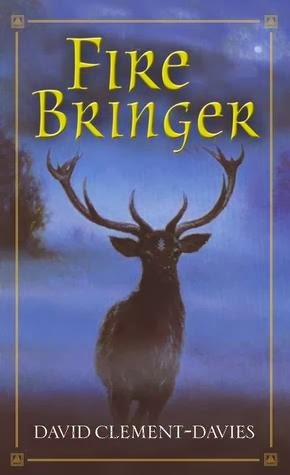 But when those same stags start to terrorize the forest, Rannoch must turn and fight - and bring to fruit the prophecy that made him hunted in the first place. Okay, I realize that description sounds weird - oh no! Angry deer hunting nice deer who just want peace in the forest! But Fire Bringer is undoubtedly one of the best books I have ever read, and one of the books I try to reread every year. It's beautifully written with some amazingly well-crafted characters, and it manages to comment on things that humanity does without ever showing a human's point of view. Look past the hesitancy on the animal narrative and try it. It's utterly fantastic. Beatrice Shakespeare Smith was born in the Theatre Illuminata, a place where all the characters in every play ever written come to life. They are born to play their parts, and bound to the Theatre's legendary Book - all except for Bertie. But still, they are the only family she has evern known. Losing them is not an option. 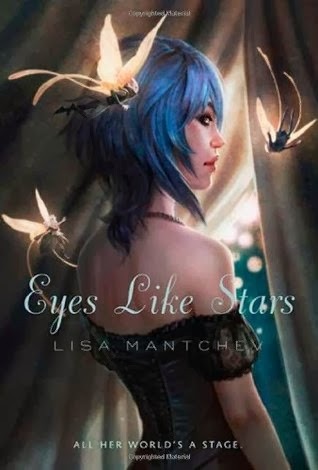 Eyes Like Stars is one of the few books that I have multiple copies of. My hardcovers are all pristine and nice and my paperbacks have all of my favorite lines highlighted - and when the rule is to highlight anything that makes me laugh out loud, let me tell you, every page is highlighted. It's clever and poignant and funny, just awesomely funny, and I love all of the characters. Definitely a read, especially when you need a pick-me-up! Nicole has blonde hair and a love of dragons. The rest changes without notice. 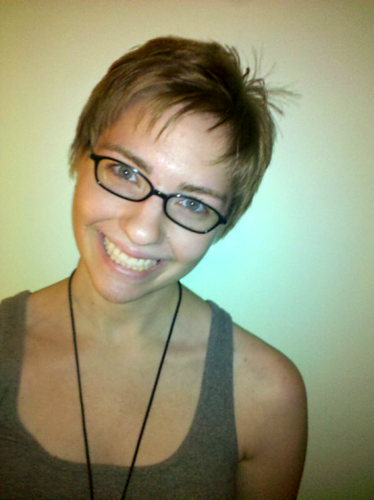 She is the editor of YA Interrobang (http://yainterrobang.com), a bi-weekly online magazine for YA news. You can find her on Twitter at @nebrinkley. Thanks, Nicole - next time our very own PolkaDot Steph! If anyone out there would like to take part in this feature (and the more that do, the less sporadicalness) then please contact us by the usual means or say hello in the comments.